Volatis Stud was founded by Sacha Shaw in 2004 with the purchase of the first two broodmares, Foxwood Polo and Dee Dee G. In those early days the aim was to breed super all round athletes that could turn a hoof to any discipline, and ideally coloured. In more recent years the emphasis has switched to focusing on the breeding of top class sporthorses. The aim is to cross top quality proven mares from the finest motherlines with the best stallions, to breed exceptional sporthorses with that little bit extra. Temperament and athleticism are the most important considerations, but rigorous attention is paid to finding the right match for each mare, in terms of type, conformation and pedigree. The mares are all highly graded in multiple studbooks. 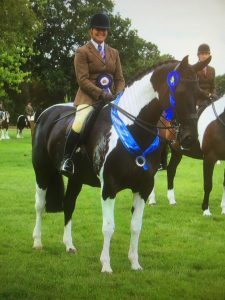 The Stud has bred champions in both the dressage arena, BEF Futurity, studbook grading and the show ring (Royal International Horse Show and Horse of the Year Show) as well as quality all-rounders who provide their owners with great fun and pleasure. Sacha was born into a National Hunt racing family, and as a teenager competed in a number of disciplines at home in Zambia. She represented Zambia as a junior in show jumping and was also eventing at intermediate level from the age of 14. After graduating with a Business Law degree she re-schooled a number of ex-racehorses, and after some years working in accountancy, decided to make the move to working full time with horses. As well as running a successful livery yard, she spent some years managing the famous Daldorn Stud for Lady Benton-Jones and producing her young horses for the show ring. At the start of 2010 Sacha sold the majority of the breeding stock and moved to Germany to work for the world famous Paul Schockemohle at his stallion station and competition yard in Muhlen. 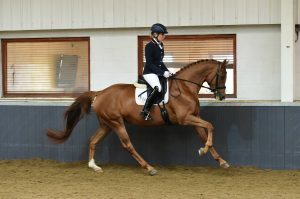 This proved to be an immensely educational experience, working with, and riding, top class athletes, some of whom have gone on to international championship careers. Sacha had always followed the German breeding scene with interest, visiting stallion approvals and shows, but to be immersed in the centre of it was extremely enlightening. On returning to the UK in the summer of 2012 Sacha went to work for the team behind Horse of the Year Show as the Equestrian Manager and most recently has been appointed the Senior Administrator for the National Pony Society. She has been an evaluator for the BEF Futurity series and occasionally takes small groups of breeders on guided tours to Germany. She has previously written breeding articles for Horse & Hound, E-Venting and the British Breeder magazine, and publishes the Breeding British blog. Most recently Sacha became a Director of British Breeding, with responsibility for editing the revamped British Breeder magazine, and alongside her co-Directors, running the Futurity Evaluation Series, the Competition Stallion Event and the Burghley Stallion Parade. The retained broodmares and youngstock are now boarded at stud and the plan is to strengthen and enhance the Volatis prefix within the competition arena. 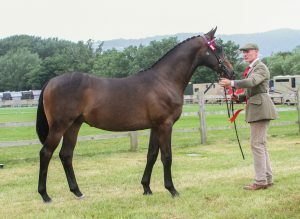 The graded stallion Volatis Defiant has been bought back and is now competing at Advanced Medium and other homebred stock are wining Area titles or taking Championships in the show ring at the highest level.